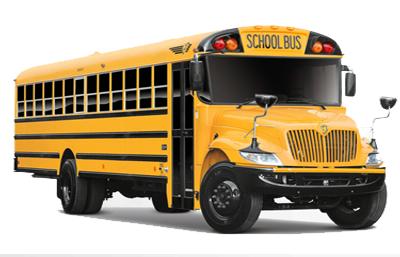 One of the best charter bus providers in Las Vegas. Our rates are comparitively cheap. Call us today to get the best rate for Deluxe Motor Coach, Mini Bus, School Bus, Party Bus, Limousines, Van and more... for any of your charter bus events. Prompt Charters i steh # 1 charter bus rental company in Las Vegas, Nevada. Las Vegas is one of the most exciting cities in the world. In Las Vegas, there are unlimited possibilities for visitors. Las Vegas has attractions that are exciting, enticing and mesmerizing, "take a walk down the Las Vegas Strip” and see what it has to offer. You will soon realize that this is where you can view many different attractions, and experience fantastic shows put on by a wide variety of hotels and casinos. Shows vary from dance performances to full concerts by international superstars. The city is good for not only sightseeing but for all the purposes like Corporate Travel, Group Travel, Bachelor/ette Party, Wedding, Convention, Trade Show, Emergency Evacuation, Political Campaign, School Field Trip, Airport Transportation, and Religious Conventions. Las Vegas attractions offer something for everyone. Attractions in Las Vegas include theme parks, roller coasters, museums, national parks, and more. The city was conceived, designed and built for good times, and has become the quintessential destination for bachelor and bachelorette parties. If you have golf fans, the area is flush with courses for virtually every skill level and budget. There are also some great outdoor adventures such as climbing or hiking in and around Red Rock National Park, Valley of Fire or the Mount Charleston area. Or, skip the physical activity altogether and spend the day being pampered at a hotel spa. Your dining choices are endless. Las Vegas has some of the best restaurants in the world, and there's something for every taste and budget. Downtown Las Vegas’ 3rd Street is quickly gaining popularity as one of the newest hotspots in Las Vegas. Located in the heart of downtown, 3rd Street is a dining and entertainment district, featuring some of the most well-known hotspots in nightlife. Go to Hoover Dam, Red Rock National Recreation Area, and maybe, if time allows, Valley of Fire. Or, take half a day for a helicopter ride over the magnificent Grand Canyon. You can try some golf, rock climbing or river rafting. Make sure that you plan your visit and get information from the Visitor and Information Center. Choose any of the vehicles from Charter Buses, Mini Buses, School Buses, Party Buses, Entertainer, Limousines, Limo Buses, Hummers, to SUVs for your safe and convenient trip to Las Vegas. Planning a corporate retreat or conference can often be a tedious task. Planning the ground transportation can be even more difficult. It involves many variables such as the number of people, the frequency of the service etc. We excel in ground transportation management for corporate clients and we have the great reputation for having managed many corporate events. 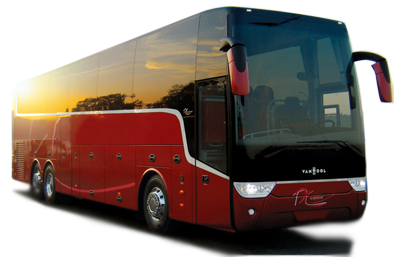 A Major portion of our business is corporate travel and travel management services. Picking your employees from the airport to shuttling large groups to and from large events, we do it all very efficiently. Whether you are holding a sales conference or shareholders meeting we got you covered. When it comes to corporate travel management, it has to be done meticulously and economically. Armed with a team of professionals and coupled with cutting edge technology, we will be able to do a superb job on your travel plans.